On October 2, 2012 the U.S. Department of Labor’s Occupational Safety and Health Administration (OSHA) announced it is launching an alternative dispute resolution (ADR) pilot program that will help resolve disputes between complainants to OSHA’s Whistleblower Protection Program. The pilot program will be implemented in the two regions headquartered in Chicago and San Francisco and will last for one year. The Chicago Regional Office is responsible for investigations of whistleblower complaints filed in Illinois, Indiana, Michigan, Minnesota, Wisconsin, and Ohio. The San Francisco Regional Office is responsible for investigations of whistleblower complaints filed in Arizona, California, Hawaii, and Nevada, as well as various Pacific Islands including the commonwealth of the Northern Marian Islands, Guam, and American Samoa. OSHA enforces the whistleblower provisions of 22 statutes. The Whistleblower Protection Program protects workers who file complaints not only related to safety and health standards, but also airline, commercial motor carrier, consumer product, environmental, financial reform, food safety, health care reform, nuclear, pipeline, public transportation agency, railroad, maritime and securities laws. The pilot program will offer two voluntary methods of alternative dispute resolution – early resolution and meditation. When a whistleblower complaint is filed in one of the two pilot regions, the parties involved will be notified of their ADR options and may work through an OSHA regional ADR coordinator to use these methods. If mediation is chosen, OSHA has designated the Federal Mediation and Conciliation Service (FMCS) to serve as the neutral third party mediator. 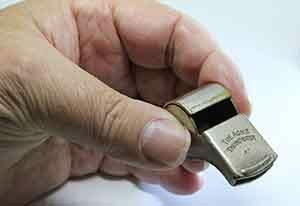 OSHA receives approximately 2,500 whistleblower complaints annually. The Whistleblower Protection Program’s information can be found at http://www.whistleblowers.gov and the directive outlining the Alternative Dispute Resolution Pilot Program can be found at http://s.dol.gov/WV .